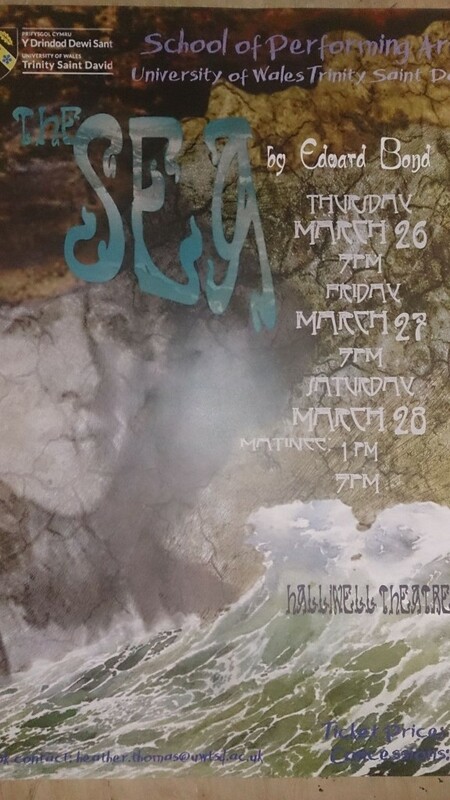 Our production of Edward Bond’s “The Sea” opens a week tomorrow in the Halliwell Theatre, Carmarthen – Thursday 26th March to Saturday 28th March. It’s been fantastic working on the production so far with a wonderful company! Directed by Dr Jim McCarthy, “The Sea” is a play that Bond himself described as “a play which stresse[s] the strength of human beings and their ability to deal with the difficulties of changing the world”. It has been great fun working on it so far, and we can’t wait to perform it!